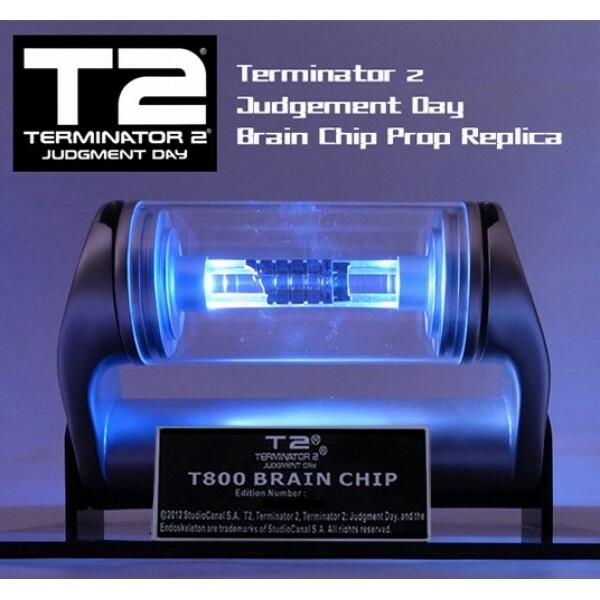 As seen in the Terminator 2: Judgement Day movie! 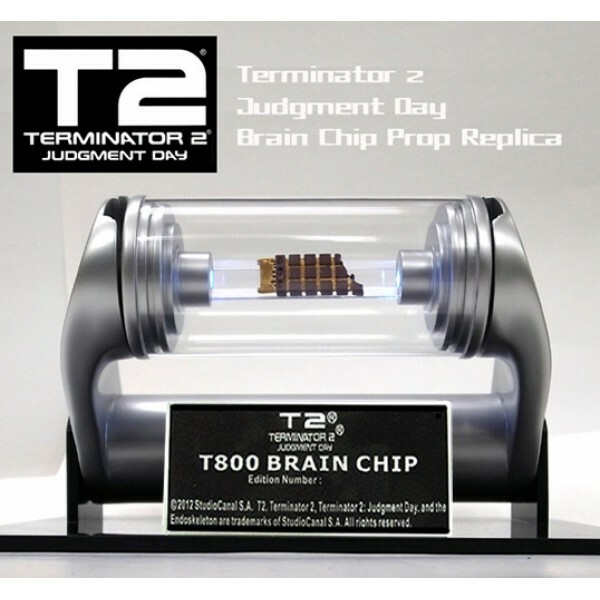 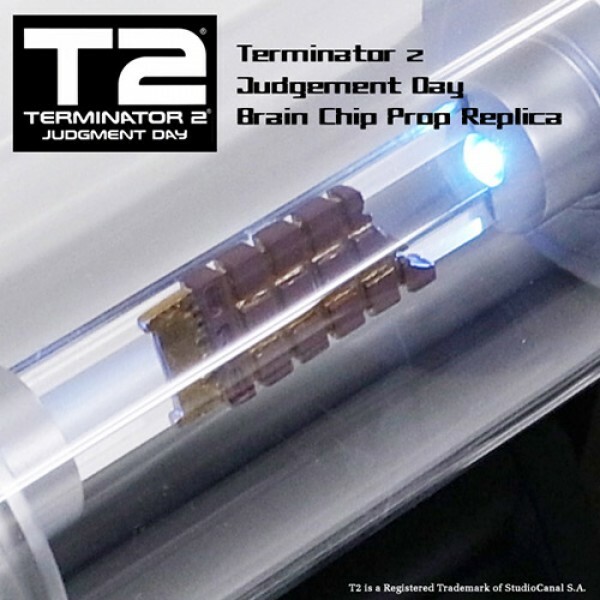 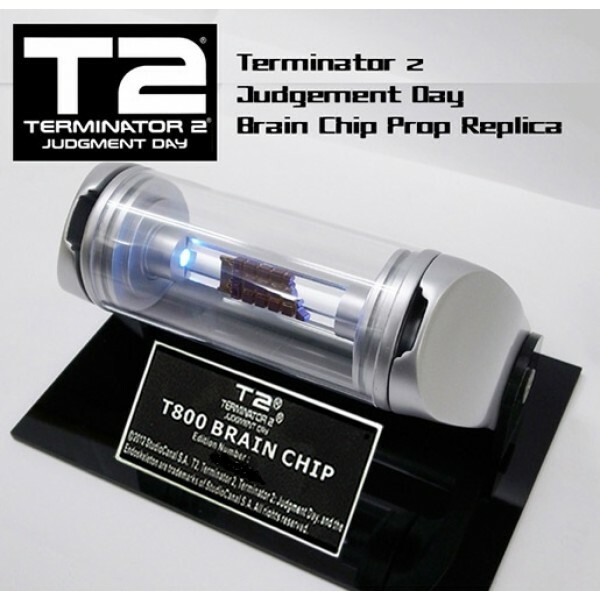 This authentic T-800 Brain Chip prop replica includes a light-up display tube complete with glossy base and name plaque. 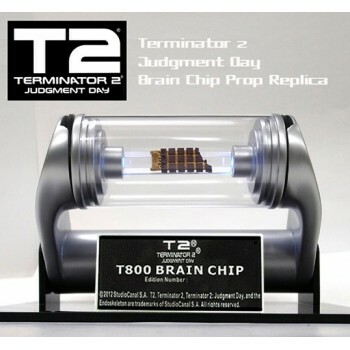 Limited to 400 pieces worldwide!